Canadian Maple Leaf. One of the world’s most recognized coins. 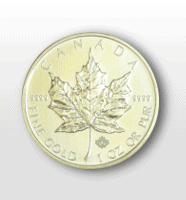 The Royal Canadian Mint’s most sought after gold product. With a purity of .9999, it is the GOLD standard. 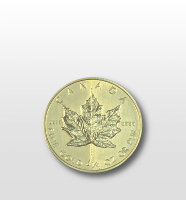 The Canadian Maple Leaf Gold coin is distributed in a variety of ounce pieces. To inquire on the latest inventory, give us a call.